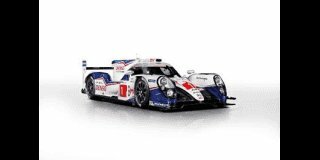 Toyota Racing enters the 2015 World Endurance Championship ready to start a new era with the defence of its two titles. Toyota became the first Japanese company to win the World Championship during a very successful 2014 season, which saw Anthony Davidson and Sébastien Buemi also win the drivers' title. In a period where energy efficiency is a key performance factor, the TS040 Hybrid proved to be the class of the field, taking five wins from eight races. The championship-winning car has been updated for 2015, with updated aerodynamics, revised front end including crash structure and new suspension kinematics to optimize tyre usage, plus additional weight saving. The TS040 Hybrid will again benefit from the proven Toyota Hybrid System - Racing powertrain, which boasts excellent thermal efficiency and delivers a total maximum power of over 1,000 PS. As with last season, the TS040 Hybrid will compete within the 6MJ hybrid category with enhancements, such as modifications to the super capacitor construction to increase performance. The team has prepared two different aerodynamic packages for this season, both of which will be tested at Paul Ricard this week. The Le Mans option is better suited to the high-speed La Sarthe track while the sprint package generates higher levels of downforce due to revisions on the rear wing, engine cover and front bodywork. Development began directly after last year's Le Mans 24 Hours and the updated car was tested for the first time on 13 January at Paul Ricard. Further three-day tests at Motorland Aragon (twice) and Portimao mean the 2015 TS040 Hybrid has completed over 25,000km prior to today's official launch. Inside the cockpit, the #1 TS040 Hybrid will feature World Champions Anthony and Sébastien alongside Kazuki Nakajima, who is planned to compete in a full WEC season for the first time. In the #2 car, Alex Wurz and Stéphane Sarrazin are joined by Mike Conway, who raced three times in 2014 in his role as test and reserve driver, winning the Six Hours of Bahrain. Kamui Kobayashi, who previously drove for Toyota in Formula 1 and finished sixth in its final Grand Prix, becomes test and reserve driver. Kamui will combine his role with a Super Formula campaign in Japan, while Nicolas steps back following three seasons in the race crew. He will be available for testing and development duties throughout the season. The Cologne-based team is also preparing for another change, with Toyota Motorsport GmbH (TMG) President Yoshiaki Kinoshita returning to Japan in April as is normal practice for Toyota executives. After securing the long-term future of the WEC project, winning the World Championship and sealing a World Rally Championship return, his mission at TMG is complete and he will depart after the Six Hours of Silverstone. Everyone at TMG thanks Kinoshita san sincerely for his immense contribution to the company and its motorsport history. Toshio Sato will take over as TMG and Team President from 1 April. He returns to TMG after several years as a senior engine engineer during the F1 project and brings vast experience of hybrid technology, having previously been responsible for Toyota and LEXUS hybrid system development. Teams are now limited to a maximum of five engines per car for the entire season, although none of the team's cars exceeded this limit in any of the previous three seasons. Additional limits apply to tyre usage, with four sets of slicks allowed during practice and six for qualifying and the race, except in Bahrain and Shanghai where eight sets are permitted, with 11 sets permitted during the Le Mans race. Those new regulations will apply when the season kicks off at Silverstone on 12 April, followed by Spa-Francorchamps on 2 May. The Le Mans 24 Hours is the annual highlight on 14 June while Nürburgring (30 August) is a new addition. The eight-race campaign concludes with races in Austin (19 September), Fuji Speedway (11 October), Shanghai (1 November) and Bahrain (21 November).